Fans who received a boarding pass from the band were able to check in on their website from 6pm. Foo Fighters fans were sent into a frenzy last night (21 February), after it was thought they'd be confirming a headline set at Glastonbury this year. It all started this weekend, when the rockers sent mysterious "Obelisk airlines" boarding passes to fans, which included yesterday's date (21 February 2017), with a check-in time of 18:00. With two of three headliners still to be announced at Glastonbury festival, we all assumed that 6pm would see the Foos announcement finally dropped. So, when it failed to happen, it's fair to say fans we're pretty peeved about it. See some of their best reactions here. However, if you head to Foo Fighters' official website, where they've set up a digital departure board, it seems the 18:00 check-in was literally just a prompt for fans with a boarding pass to register their details. Whatever the announcement is, we know now it's most likely to only include the lucky few who were sent boarding passes. Or, at the very least, they'll be the first to know. Though one fan claims he's already been let in on the big secret, he's not sharing it with us anytime soon. Other rumours suggest Foo Fighters left LAX airport last night at 6pm, where they are heading to the BRIT Awards for a performance before announcing Glastonbury. But it all seems a little good to be true. 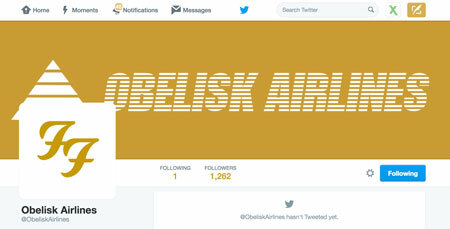 Either way, Foo Fighters have created a new Twitter account with the Obelisk Airlines handle, so we'll be watching that like a hawk to find out!